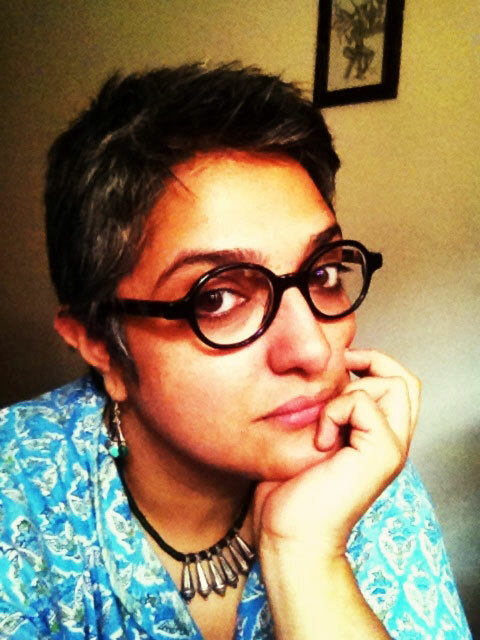 Better known as Luna (or mentalexotica), Mahinn Ali Khan is a writer, archivist, and innovator. Her Twitter account and web site double as troves for writings on love; both others’s and her own. Uniquely preoccupied with the nature of love, Mahinn has initiated many crowdsourced projects built around the theme. Recently, she began a thread on Twitter using the hashtag #claviclelove, asking people to post pictures of their shoulders. In the next several hours, images flooded in, sparking a visual dialogue on the versatile nature of beauty and self love. What you appear to be building—in tweets, fragmentary writing, quotes, short prose—is a monument to love. Could you tell us a little about this? It’s interesting that you call it a monument. A monument really is one single structure made of the same materials but what I do is not one single piece of anything. They are really a collection of—as you correctly said—fragments. I am not putting together the pieces towards one greater whole; on the contrary I am gathering the pieces, all of them whole on their own, as souvenirs. “Everything I do is a love letter in disguise”—I think it was Jeanette Winterson who said that, and it is really the most apt description of everything I put out there. That’s really intriguing. You’re not creating a composite whole, but a repository of love letters? This makes me think of some of the hashtags you initiate on Twitter. #1ofthethingsIlikeaboutyou and #claviclelove most recently. While you both write and archive discourse about love, these projects take it one step further and become dialogues of love. You’re not just writing about love anymore, you’re initiating it. Is that why you do it? That’s such an astute observation. Well, truth be told, I don’t have a plan in mind when I undertake any of those crowdsourced projects. True, they all have one thing in common—they all have at their core the human element; the essence of what it is to be human. So #claviclelove was about the tender beauty of the collar bone. #Homescreen was about what people choose as their mobile wallpaper, because what you like looking at most says so much about what is important to you. And last year’s #TangibleMemory was about the one object that almost personified a priceless, unforgettable moment or a time, or a person, etc. for somebody. I can’t say these are all love letters, but they are letters of love, in a way, aren’t they? And yes, I like to spread the idea of that around—that a love letter doesn’t need to be an actual love letter. It can be anything you choose to infuse with the intent of the moment, the sentiment, or the passion you carry for that person, place, thing—whatever. We are all writing love letters, every day, in one way or another. We just don’t always know it. I like the idea of that—love in the everyday. I’ve noticed that quality in your writing; it has the immediacy of a real time tweet or blog post. Are the pieces you publish online, especially the longer ones, first drafts or do you sometimes rework the pieces? Sometimes, yes. I go back to reword something I feel could have been better articulated. I may think of a word that moves with the idea more fluidly, or sometimes, I just delete it altogether if it feels… untrue. You know what I mean? It lacks a certain ‘realness’, or authenticity. I try to observe and stay as aware as possible to the idea that as writers, we are sometimes self-indulgent and write because we have to say something, as opposed to writing because we have something to say. What does it mean, for you personally, for something you have written to ring true? I get this feeling from your writing that you always have a particular person in mind with each piece. If yes, then we’re good to go. And to the second part of your question, yes. I do have someone in mind, but that is usually just the catalyst that sets the words into motion. It does not necessarily become all about that one person. Once I begin, the words take over and then I am just doing what they ask of me. Speaking of starting points and journeys that take their own course, do you think you know when this intense engagement with the theme of love began for you? I don’t think I have ever been anything but this intense all my life. (Smiles) Share with me some writing, art, memory of love that has remained with you? This is just too wide a question to answer. I am an archive of every moment that has passed me by. But the things that came to mind almost instantly (this is me being honest) is Frida Kahlo and her art, David Whyte’s poem The True Love, and Rumi and whirling dervishes. I noticed that I couldn’t find your work published anywhere. Have you consciously refrained from sending your work out? No. I just haven’t received an opportunity. And what would I write? I am not building any monument, remember? So, no plot, no characters, no story. Just a theme. What will I do with that? I seem to do plenty, but it’s not a form or writing that people can sink their teeth into, I think. It’s more like short bursts. I really don’t know what to do with what all I have. Something, I suppose. What you do reminds me a little of Shinji Moon in New York. Writing, in both your cases, seems to take the shape of whatever you are feeling without needing the support of a form. Could you imagine a book in the future like that? No plot, no characters, no story—just held together by a theme? A collection of letters of love maybe. Listen, if someone wants to publish [my writing], I am ready to go. I have plenty of writing hoarded for the right place, right time, etc. But like I said, it’s part uncertainty (vis-a-vis will it work as a contemporary form) and part lack of opportunity. But I am seeing what is being published in the name of Indian literature nowadays and it’s some of it is really embarrassing—though who am I to talk, seeing as they are published and I am not? Most of us live in more language than one. I’ve always wanted to know, what is it like to love in two languages? Especially as a writer. It is like the most delightful schizophrenia you could hope to experience. And I mean no disrespect to anyone suffering schizophrenia. I often try to define or translate for others, certain Farsi sayings, or proverbs and the translations are nothing short of ugly or worse, laughable. But to live with the delicious knowing of two ways to love and the myriad ways to speak of it, is like swimming in a pool of chocolate. I always ask the people I interview if is there something else they’d like to talk about. I have observed that people like to be asked. It’s the one thing they appreciate so much. It cuts across everything, all differences, all marginalisations, all segregations. Ask people things. and then wait to hear what they have to say. When they see you’re serious about wanting to know—whether it’s a photo of their shoulders or sending a screenshot of their mobile screens—they will go to great lengths to answer. People would flatter me, saying that I can get people to do anything for me. But that’s not it at all. Just ask. That’s all. Ask sincerely, patiently, and respectfully and I have found the world will deny you very little. 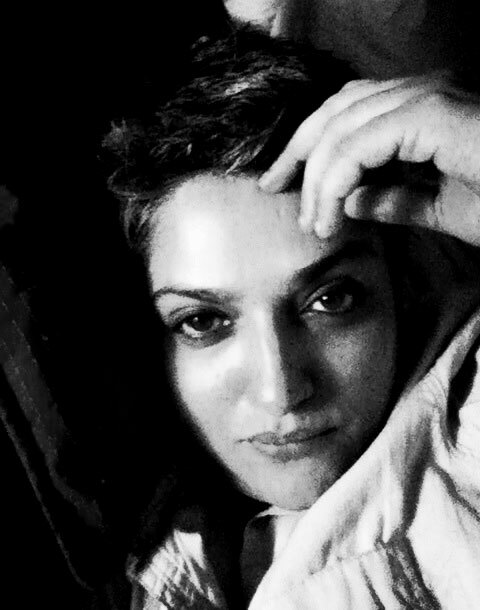 By Urvashi Bahuguna · Janice Pariat, founding editor of Pyrta, talks to us in an exclusive interview about Boats on Land, her new collection of short stories.